Residential, New Construction, First Time Homebuyers, Investment Properties, Agricultural, Condos/Townhomes. President, Dubuque Board of Realtors; Chairperson of the Dubuque Multiple Listing Service; Realtor of the Year; Recognition for Leadership/Dedication to the Dubuque Board of Realtors; Consistent Member of the Multi-Million Dollar Club; Housing Commissioner for the City of Dubuque; President of St. Patrick\'s School Board; Served on the Parish Council; Volunteer for Project Concern, assisting the elderly; Started and facilitated a support group for the mentally challenged. 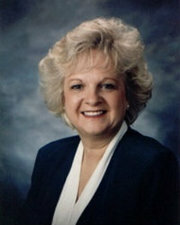 Member of the Eminent Domain Compensation Commission.Member of the National Association of Professional Women. Sunnycrest Manor Auxiliary Board Member. My clients like me because they feel I am conscientious, trustworthy, reliable, willing to work hard and I am a good listener. I try to remain objective in resolving buyers/sellers objectives and concerns. I am diligent in initiating and following through with every phase of a transaction.